It is common knowledge to the general population of Malaysia, Singapore and Indonesia when the burning of forests to clear for the expansion of Palm Oil is happening. It has almost become a season in itself, the ‘burning season’, and has become apart of the yearly calendar for people who live in these countries. 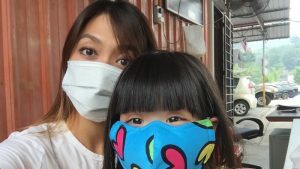 As the haze resulting from the burning is spread through the air, the most popular Strepsils sell out of the local shops and an increase in respiratory infections occur. By the end of the ‘burning season’ the image of people wearing protective masques to protect their lungs from the haze becomes more normal than strange. The booming Palm Oil industry fed by the increasing demand for the product by varying industries to produce more to meet the growing demand of the consuming population is a slap in the face reminder of how we are our own worst enemies. Fires that are used as a tool to clear land for the expansion of Palm Oil can spread and have deter-mental impacts on wild life, the environment and human health. Indonesian fires in 2016 aggressively spread. This particular fire released large amounts of CO2 emissions. . The fire recorded to have emitted 1.62 billion metric tonnes of CO2. 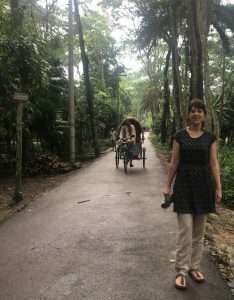 Current research is looking for ways to build a more sustainable supply chain which in turn could result in a reduction of using burning as a tool to clear land for Palm Oil cultivation. A supply chain that provides Palm Oil in a sustainable way is much needed. In 2016, the Indonesian government made a commitment to increase Palm Oil production to 36.4 million tons annually. On the other hand in their Intended National Determined Contribution (INDC) to mitigate against climate change the government committed to reduce carbon emissions without international assistance by 29% and with international assistance by 41% by 2030. A more sustainable approach by industry to Palm Oil cultivation has the potential to meet the growing demand while at the same time having less negative impacts on the environment, wildlife and human health. Suggested solutions include green product, grower associations and moving to a higher chain. For these solutions to be recognized a hybrid approach of public policy and private standard have been suggested in this study. If you were ever unclear as to what the concept empowerment actually means this paper should clear it up. A really concise and well written piece of work. The author,Naila Kabeer, gives a clear description of what has been a widely defined concept. To be empowered is such a personal thing to an individual. This in itself makes it difficult to be measured. Kabeer highlights that it is only those whom feel disempowered can feel empowered. This publication is worth a read. It highlights the difficulty faced by women in the aquaculture sector in Bangladesh. Interestingly it looks at women in a factory setting. shrimp processing, as well as women farmers in rural Bangladesh. The important role women play in sustaining the aquaculture sector in Bangladesh is discussed. The findings highlight that aquaculture contributes to women’s empowerment mainly by giving women access to making an income. The publication concludes with recommendations for stronger policy, NGO and donor support to enable empowerment. 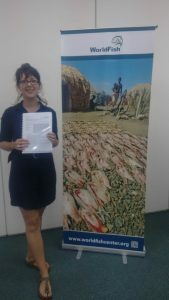 Thanks to WorldFish I was able to attend an academic writing workshop. I was able to pick up some skills around academic writing. Hopefully I will be able to put them to some use in the future. During my field work in Bangladesh child marriage became evident throughout villages. Coming from my comfortable world in Ireland this was difficult to digest. But during my data collection, while not ignoring the issue, I put my emotions to side. Now re-examining my data I felt the need to share some information regarding this, difficult to come to terms with, cultural norm. 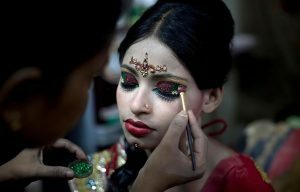 It is illegal in Bangladesh to marry under the age of 18 for a woman and under 21 for a man unless special permission is sought from a court. Despite this children get married on a daily basis. Child marriage impacts largely girls when compared to boys. 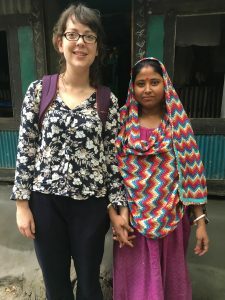 A UNICEF report released in 2014, showed that 60% of women in Bangladesh between the ages of 20-24 were married before they were 18 and one in five of those women were married before the age of 15. Girls marry men up to twice there age and give birth within the first year of marriage. A key determinant for the ongoing widespread child marriages is the use of dowry meaning the exchange of money or some valuable asset for the marriage of the daughter or son. Child marriage is more likely to occur in rural, poor areas and girls are more at risk in Muslim communities. Child marriage is against human rights of a child and is against international law. Child marriage leaves a child vulnerable to abuse, violence and exploitation. My experience speaking with child brides exposed me to stories of young women living lives of hard labor, no choice to pursue education or in becoming mothers. The ‘lucky’ child brides get married off to a respectful man. One women explained she was married at the age of 15 but that she is happier now. She now has more freedoms than she had when living with her father and mother where her life was difficult. She explained she was lucky that her husband was a good man. Lucky is not a word that I would think of putting into the same sentence as child marriage. Through decreasing child marriage an increase in girls receiving a higher level of education is predicted. And as we are aware an increase in girls education can have numerous positive knock on effects including increasing food and nutrition security and climate change adaption. 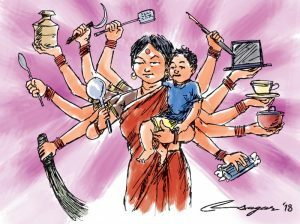 Some research I came across that looks at child marriage specifically in Bangladesh highlights the most common factors at an individual, community and household level whereby child marriage predominately occurs. As it was Eid our office was closed for four days. 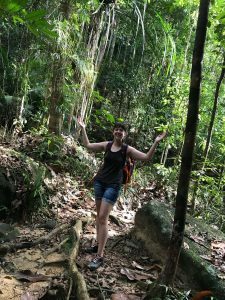 I decided to take a day off and go to Penang National Park. My work colleague who was keen to get in some hiking joined me. 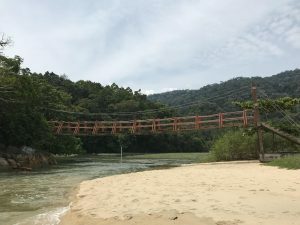 We decided to hike to both Turtle beach and Monkey beach with the hopes of seeing exactly this. Unfortunately we were unable com upon turtles but across the national park we were followed by monkeys. On arrival to monkey beach the name did not let down with monkeys being sighted everywhere. We were able to get close and personal and get some great pictures of the beautiful animals. The hike was perfect. 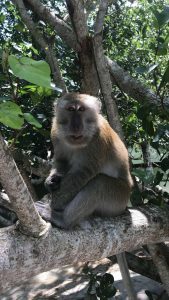 Spending time on monkey beach , a tiny tiny beach, was exactly the relaxation I needed after three weeks in the field. My field trip began three weeks ago. I traveled to Barisal by plane, only 20 mins in the air, where I met my research team, Unus, Harun, Juneyna. Emdad, lead researcher, had traveled with me that morning from Dhaka. After long discussions around my planned methodology, field work began. Over my three weeks I met with over 160 farmers across 8 villages. Both men and women whom work hard day in and day out to ensure the best outcomes for their family. Households are adapting there way of living against the negative impacts of climate change with both men and women facing different challenges but sharing the same objective of keeping food on the table and their children in school. 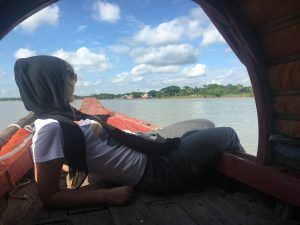 After the first couple of FGD I came to terms with the fact that I was going to sweat buckets no matter what and began to relax into the environment I found myself in. I began to enjoy my time in the villages. Always feeling colourless with my pasty white Irish skin and plain western clothes but never feeling unwelcome. Each village I visited I was fed like a queen with fresh fruit from the trees despite it being Ramadan. Each group gave their time to me and put energy and effort into answering my questions despite their busy day to day lives. They welcomed the opportunity to sit, discuss and be heard and I welcomed their willingness to participate with open arms. 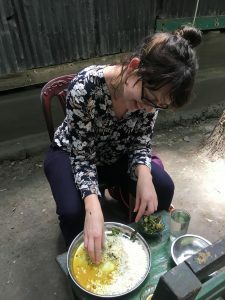 As my field work came to an end I had with me great memories, feelings of gratitude for my research team and the many farmers I met, mountains of notes and a clear message from the women of the villages that I needed to find a husband fast before it was too late for me. Now to analyse my data and hope it will contribute, however small, to protecting the livelihoods of those most vulnerable to climate change. Hello and finally my first blogging experience has begun. judith-ann-colgan May 18, 2018 June 12, 2018 Comments Off on Hello and finally my first blogging experience has begun. 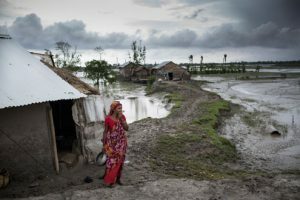 The following article looks at the different impacts climate change has on both men and women with focus in Bangladesh. It looks specifically at migration patterns of men resulting from climate change and how this has impacted the household. The article highlights the importance of a gender responsive approach to climate change adaption. Happy reading. judith-ann-colgan March 13, 2018 March 13, 2018 1 Comment on Hello world!